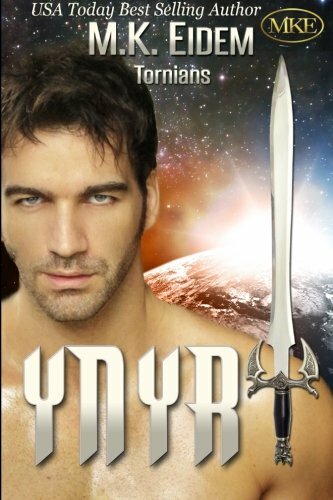 Ynyr was a third male, and while he was a fit and worthy Warrior, he had always known that no female would ever Join with him. Too many looked down on his family because of his mother’s refusal to leave his manno. He knew Ull would be able to overcome this because he was a first male and would one day be a Lord. Maybe even Vali, since he was a second male, but neither Ynyr nor his younger brother Zev would ever be acceptable to a female. The most they could hope for was to serve their House with honor but that all changed with the arrival of the females from Earth. Abby’s life had not been an easy one, especially after the death of her family when she had been sixteen, but she had thought things were finally looking up. She was a year away from achieving her dream of becoming a teacher. Soon she would be making a difference in the lives of children others had given up on… that all changed when she was abducted by the Tornians. Ynyr and Abby had come together in the most unusual of ways, but that was just the beginning of their unique relationship. Together they had to do something no other Lord and Lady had to do. They had to take a House that had been destroyed by deceit and evil and turn it back into the worthy and respected House that it had once been. Will the secrets left behind by Bertos and Risa tear them apart? Or will it be Abby’s secret and Ynyr’s reaction to it that does?